With the right cream, you’ll love moisturising. Most women know that healthy skin needs looking after. But not many know which moisturiser is the right one for their skin type. Which type is best for you? Find out here. Moisturising daily is an important and enjoyable beauty ritual – but do you know which moisturiser is best for you? Enjoy beautiful, radiant skin with the right care for your skin type and your beauty habits. Do you prefer pampering your face, hands and body with an intensive moisturising cream? Treat yourself to NIVEA Soft and bestow your skin with extra moisture. Prefer delicate care that works intensively but is not greasy? Then NIVEA Creme or NIVEA Soft is precisely the right choice for you. And you can also use it on your face. Want your skin to feel extra soft? Then before applying a soufflé or a body lotion, use a body scrub – it will make your skin smooth and help it radiate its natural beauty. Want a gentle moisturiser that absorbs quickly into your trouble-free skin? Then choose the popular NIVEA Express Hydration Body Lotion, which contains Hydra IQ for effective yet light hydration. Its gentle texture ensures that it goes on without much fuss and absorbs quickly. Or try NIVEA Pure and Natural Soothing Day Cream, which is enriched with Argan Oil and is another great choice for normal skin. Try it out and see for yourself! It is important to know which care products are right for you to ensure you have soft, radiant skin. NIVEA has the right products. Moisturising daily is of course particularly helpful if you experience dry skin. We know some moisturising products can be sticky. NIVEA Irresistibly Smooth Body Soufflé is a light, whipped consistency of a mousse, meaning it absorbs quickly to leave your skin feeling silky soft. Shea Butter and Hydra IQ work together to provide skin with intensive, long-lasting moisture. Do you have very dry skin? 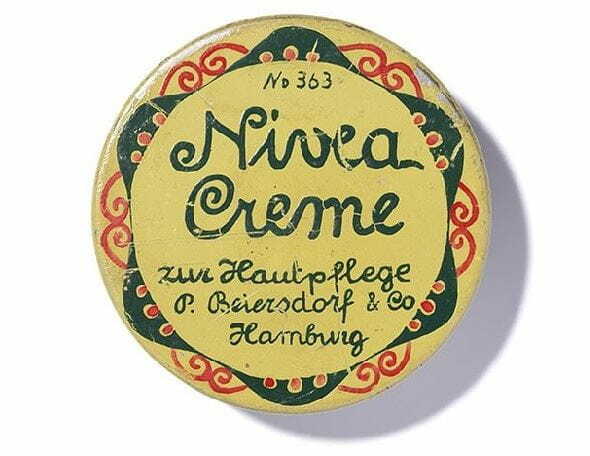 Discover NIVEA’s moisturising creams! NIVEA Repair & Care Body Cream provides very dry skin with moisture for 48 hours. Provitamin B5 and Hydra IQ work together to help to rebuild the skin’s natural protective barrier to help skin to retain moisture for longer. NIVEA Rich Moisturising Lotion is also wonderful for dry skin and is enriched with Almond Oil to intensively moisturise. NIVEA Firming Body Lotion Q10 Plus, is enriched with co-enzyme Q10, L-Caratine and Creatine form the NIVEA Q10 Energy Complex, which increases your cells’ energy levels. For more intensive hydration, try Q10 Rich Firming Body Lotion, which similarly contains Co-enzyme Q10, L-Carnitine and Creatine, but is a more concentrated formulation. Your skin will be noticeably firmer after only 2 weeks. NIVEA Body Contouring Cream Q10 Plus contains Co-enzyme Q10 and Iso-Proteins to boost your skin’s surface collagen to firm and tone the skin. Massage in focusing on your thighs and belly for best results.